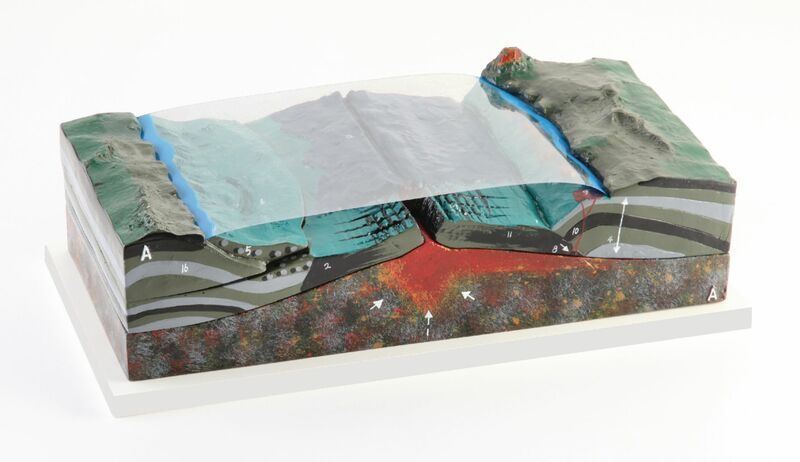 This realistically illustrated, labeled resin model helps educators explain the functions and elements of plate tectonics. The model uses sliding and removable parts to explore topics such as sea-floor spreading, convergent and divergent boundaries, volcanism, and active and passive continental margins. The model is mounted on a sturdy, wooden base.